심슨 가족 Can someone find a clip of this? I dont remember exactly how it starts, but it has been done several times in the show. Basically someone will for example tell Homer to give them something and Homer will be like....yeah....sure....let me get that.....Then you hear see/hear him walking away slowly...then faster....then faster....then he opens and slam his car door...then he peels out leaving in his car. I cant find a clip like this anyway. 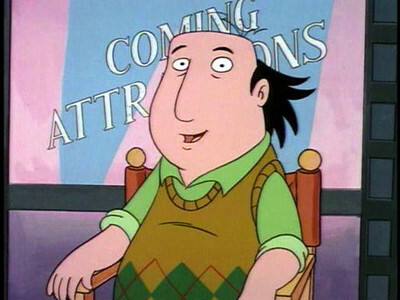 They do that in "The Critic" too I think, but I don't recall where. After checking it out, I think the scene in question actually appears in "Marge Simpson in: 'Screaming Yellow Honkers'", although the Canyonero is introduced in the other episode. Well doesnt someone have all the episodes on DVD or something? Can you get out your video camera and tape it and put it on youtube? I cant find this clip anywhere and really want it.